Prasad wanted to set the record straight on the eve of the Boxing Day Test, which will feature the Saurashtra all-rounder. Jadeja is set to play the Boxing Day Test at the MCG. 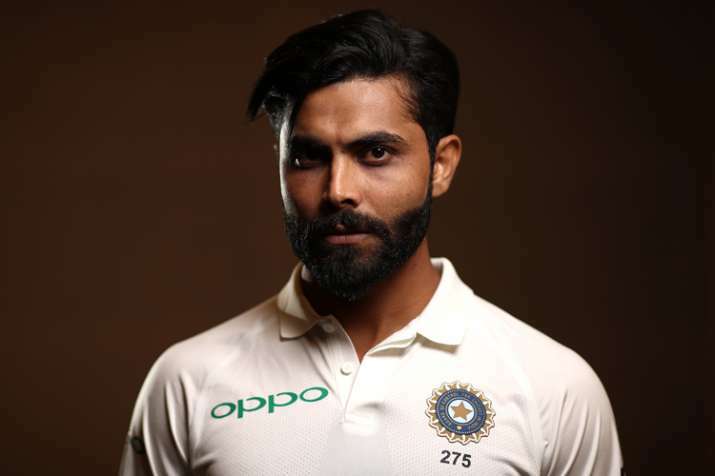 Chairman of selectors MSK Prasad Tuesday made it clear that his committee picked Ravindra Jadeja for the Test series based on the fitness report where he was declared absolutely fit. Jadeja, who had a shoulder stiffness couldn't feature in the second Test in Perth and coach Ravi Shastri told the media-persons that the player was carrying the niggle from India. Prasad, however, wanted to set the record straight on the eve of the Boxing Day Test, which will feature the Saurashtra all-rounder. "On the eve of any selection meeting, the selection committee is given a fitness report of all the players. In that report, Jadeja was absolutely fit. So we picked him. After we picked him, he went and played Ranji Trophy also, where he bowled 60 overs. So there is no question of him being unfit at the time of selection (for Australia)," Prasad said. "Whenever a health issue comes up, we have a group in which it is being placed. All that is looked after by the physio and they have very clearly given it in the statement," he said. On a different note, Prasad said that Mahendra Singh Dhoni's return in the T20 squad for New Zealand tour was on expected lines as he was only rested for the six T20 Internationals against West Indies and Australia. "With regard to MS, even while resting also, we categorically told that he was going to be rested for those six matches so that we can give more game-time to Dinesh Karthik and Rishabh Pant. That is the very reason. Now they have played quite a few matches, so we thought that we should bring back MS into the squad," Prasad reasoned, even though it is clear that Dhoni won't be part of 2020 World T20 in Australia. Prasad said the decision to drop Rishabh Pant from the ODIs against Australia and New Zealand was to keep him fresh for bigger battles ahead. He assured that the young keeper is still in the scheme of things for the 2019 World Cup. "With regards to Rishabh, given the intensity of this series that we are playing right now, so after this series, we want to keep him fresh. Give him a break and he will have a very good game-time of five matches against the visiting England Lions. Definitely a part of our World Cup plans (sic), Prasad said. The chairman of selectors informed that from now on only 20 players will play till World Cup as they form the core. "As promised, we said that coming close to the World Cup, we are left with only 13 ODIs. It is more or less the core team. We have zeroed in on 20 members and only those 20 members will be figuring from now on, he signed off.